The city of Portland is the largest in the state of Oregon. At the beginning of the 20th century the city was known to be one of the most dangerous port cities in the world with organized crime and racketeering being common place. This reputation is now in the past and the city has been voted as the 8th most popular city in America. The city is very conscious of its effect on the environment and is one of the greenest cities in the world. Many people here cycle more than they drive, do a lot of walking and participate in farm to table dining. Let’s explore the best things to do in Portland. The Oregon Museum of Science and Industry was initially hosted in businessman Ralph Lloyds’s house. He had the first planetarium in the Northwest which included a show that lasted twenty minutes. As time went by the museum became more and more popular and the house that was being used for the museum was set to be demolished. Luckily Oregon City Council stepped up to the plate and agreed to lease some land in Washington Park. 400 volunteers became involved in the project and the new museum opened in 1958. Today the museum is incredibly popular and serves over 1 million visitors each year. Washington Park is a huge space of land that covers more than 410 acres of land. The park is home to many of Portland’s premier attractions (many of which are features in this list) including a zoo, children’s museum, Japanese Gardens, and an arboretum. For visitors that do not want to spend time at an attraction there are picnic areas, playgrounds, tennis courts and large space of green land or wild forest to explore. If you like walking there are over 15 miles of trails to walk or jog along, some of the trails connect with Pittock Mansion, Forest Park and Council Crest. The most famous attraction in Oregon is most definitely Oregon Zoo. Oregon Zoo first opened in 1888 when a private collector of animals decided to donate them to the City of Portland. There are approximately 1,955 animals to see in the zoo ranging across 232 species. 21 of the species that live in the zoo are either endangered or threatened and each one is on a breeding program to try and help ensure their survival. One of recent successes has been the breeding of new African Elephants which are always popular with park guests. Pittock Mansion is sat in the hills to the west of Portland and it is a beautiful home that is absolutely worth a visit. The Mansion was built in 1909 as the home of Henry Pittock and his wife. The mansion has 46 rooms and sits within 46 acres of land. The property is now owned by the city of Oregon. The mansion was opened to the public in 1965 and approximately 80,00 people visit each year. The property sits at 1,000 feet above sea level making it fantastic for bird watching. Throughout the year the mansion has appeared in various TV shows and films, the most famous being the movie ‘Unhinged’ which was banned in several countries due to its content. Portland is twined with Suzhou in the Jiangsu province of China, Suzhou is famous for its Ming Dynasty Gardens which are incredibly beautiful. The Lan Su Garden is currently the most authentic Chinese Garden outside of China. The garden is walled and once you are inside you feel like you have left the United States and been transported into China. You can explore Chinese Culture, their way of thinking and their history. The name of the garden is translated to mean “Garden of the Awakening Orchids.” A few hours in this garden can leave you feeling revitalised and fresh. Pioneer Courthouse Square is knows by the locals as Portland’s Living Room. 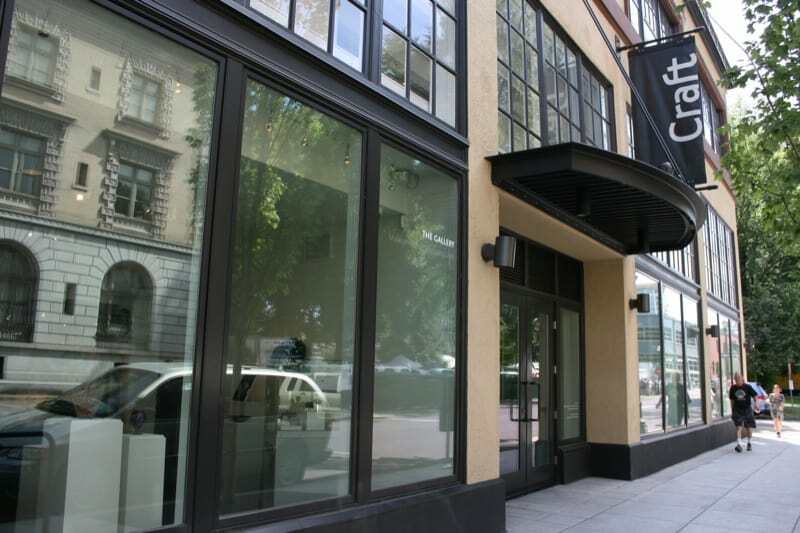 It is situated in the center of downtown and is approximately 40,000 square foot. The square has many cool features and places for friends to hang out. There is an outdoor chess table, and a fountain that looks like a cascading waterfall. In the middle of the square there is an area that looks like an amphitheatre. It is a semi-circle shape and has 24 steps that people use as seats when there is a live performance. When you walk through the square you will notice that the bricks you are walking on have the names of people on them. When the area was being developed locals could pay $15 to get their name put on a brick which would go towards the cost of construction. Forest Park is just outside Portland in the Tualatin Mountains. The park stretches for 8 miles and is one of the largest urban forest reserves in the United States. The total area covered is more than 5,000 acres and has over 70 miles of trails for people to explore. The walks are beautiful and cater to a variety of abilities, meaning there is something suitable for everyone. A lot of the area overlooks the Willamette River making the walk even more scenic. A lot of bird’s live within the confines of the park so if you are a keen bird watcher you should bring some binoculars. The Japanese Garden in Portland should be on every visitors list. It stretches out over five and a half acres and is split into five very distinct areas. The thinking behind the Japanese garden is that one should feel peace, harmony and tranquillity when they enter. Japanese gardens have a lot of culture and history to them. As you move from one area to another the feeling of tranquility follows you. Many hours can be spent exploring the garden and admiring the beautiful ponds, trees and bridges. Tom McCall Waterfront Park is located on one side of the Willamette River and was created after Harbor Drive was removed from the city. The park is very popular amongst active types with many people coming here to jog, walk, skateboard and cycle. You can also get a great view of the boats from within the park which makes it extremely popular with people from the city who like to come in their lunch breaks. There are five separate zones within the park to explore, The Esplanade is the walkway along the river. The Bowl is a grassy area that often gets used for concerts. Salmon Street Springs which is a fountain set within a concrete Plaza, John Yeon Building and The Central Lawn which is always packed out during summer. The Children’s Museum is a really great day out for the children and they will learn a lot whilst having tons of fun. There are so many activities to get involved with that your children will be begging to come back again. There is the Building Bridgetown where children get to learn about construction whilst of course getting hands-on. There is a garage to play in, a grocery store and bistro where you can plan a meal and then make it. If your children love nature then they will enjoy the Outdoor Adventure that really helps to connect them with nature. The museum has a host of permanent exhibits as well as several changing ones. The largest roller skating rink in America is at Oak Park so if roller skating is your thing there is no better place to go. 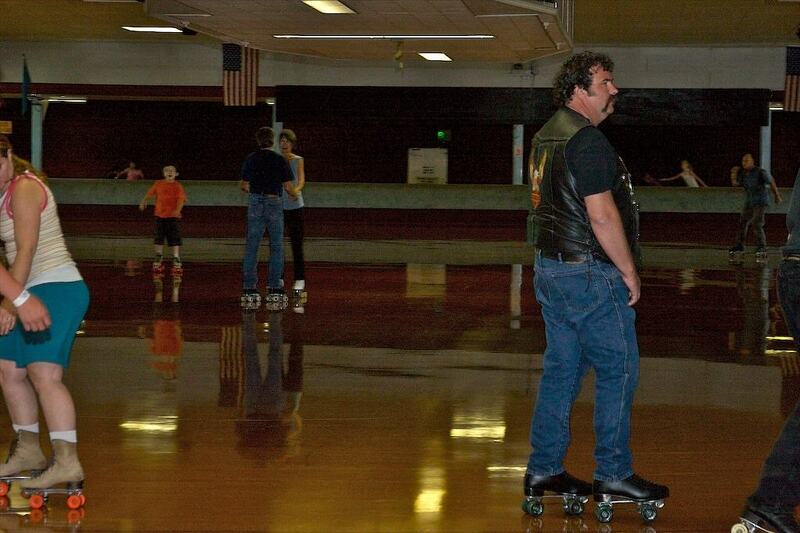 You can enter a competition, skate at the disco, join the couple’s events or just go free-style. Roller skating is not the only attraction at Oaks Park though, you can also have fun on the amusement park rides, have a round of miniature golf or play some carnival games. The place is hugely popular with the people of Portland and the park offers a fun filled day for the whole family. The Grotto in Portland is a Catholic Shrine that is dedicated to Mary, Our Sorrowful Mother. It is a beautiful place to visit and you cannot help but feel at peace when you are there. The area covers a huge 62-acre space and welcomes people from all religions to enter. At the heart of the park is Our Lady’s Grotto which is a rock cave that has been carved into the base of a cliff. In the center of the cave is a life size marble replica of Pieta by Michelangelo. There are many beautiful walks to be taken in the garden and from certain places you can enjoy panoramic views of the Columbia River Valley. The Oregon Historical Museum sits in downtown Portland and was officially opened in 1898. The museum is most famous for being the home of the Portland Penny. The Portland Penny is a copper penny from 1835 that was flipped to decide the name of the city. The choice was between Portland and Boston with Portland coming out the winner. There are over 85,000 artifacts in the museum that relate to the local area so a trip is well worthwhile. Hoyt Arboretum covers an area of 187 acres and is situated a couple of miles away from downtown Portland. There are approximately 10,000 individual trees and shrubs in the park and over 1,100 different species from across the globe. If you like walking then you can take your pick of trails, the trails in total are 12 miles long. In the center of the park there is a visitor center that has an indoor classroom as well as a picnic area and a meadow. The visitor center is manned by volunteers who carry out regular tours of the park. The Portland Art Museum was founded in 1892 and is the seventh oldest museum in the country. The museum has become famous around the world because of its permanent collection that has more than 42,000 pieces in it. For history buffs there are plenty of historic art pieces on display. There are many pieces that have been collected from the native people of North America as well as a large collection of English silver. The campus that the museum sits on also has the Jubitz Center for Modern and Contemporary Art which is well worth taking a look at. The World Forestry Center is located in Washington Park in Portland. The museum is 20,000 square feet in size and has one important mission, to educate visitors about the importance of trees in our lives. The museum has been open since 1971 and has opened the eyes of thousands of visitors over the years. When you are at the museum you can take a raft ride (that doesn’t get you wet) take a look at a forest from a bird’s eye view. There is also a virtual trip to China, Brazil, Russia and South Africa that will show the visitor the challenges that the forest are facing in these countries. The Museum of Contemporary Craft was founded in 1937 at the Pacific Northwest College of Art. The museum is split over two floors and covers an area of 4,500 square feet. There are multiple exhibitions within the museum that take a look at past, present and future craft. There are many items by leading international and national artists that feature in the ever changing exhibits. There is a store at the museum where you can watch artists work with glass, wood, metal, ceramics and many other materials. The Oregon Convention Center opened its doors to the public for the first time in 1990. The building covers an area of approximately 1 million square feet and features the largest ballroom in the city of Portland. The center provides hundreds of jobs for the people of the city and raises millions of dollars each year for the city. There are two spire towers that provide the internal light for the building and they have become a famous memorial of September 11 when they are illuminated each year. The building also happens to feature the largest Foucault Pendulum in the world. If you are into your motor racing then you should not miss out on a trip to Portland International Raceway whilst you are in the city. The track is 1.97 miles in length (including the chicane) and puts on more than 550 events a year. Regular events at the track include drag racing, motor cross, motorcycle road racing, auto racing and cruise-ins. Portland International Raceway gets involved in more than just racing vehicles though, there are many annual walking, running and physical events that are put on to raise money for some great charities. 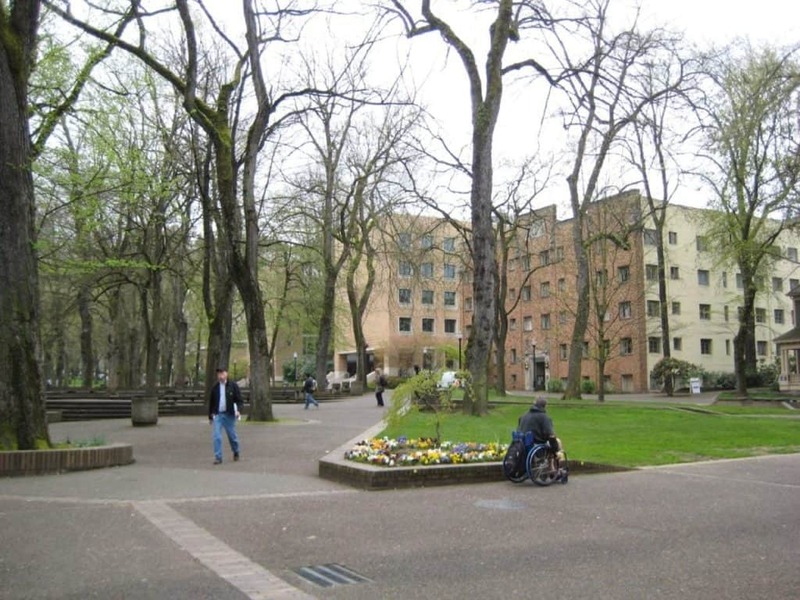 The South Park Blocks make up a park in the center of downtown Portland, the park is twelve blocks long and has picked up the nickname “Portland’s Living Room.” Each of the 12 blocks contains at least one example of public art. Examples include the statues of Theodore Roosevelt and Abraham Lincoln. There are 337 elm, maple and oak trees within the park that have been valued at $3.4 million, visitors can also see a beautiful selection of roses throughout the area as well. There are many events that are held throughout the year at the South Park Blocks so keep an eye out for events whilst you are in the city. 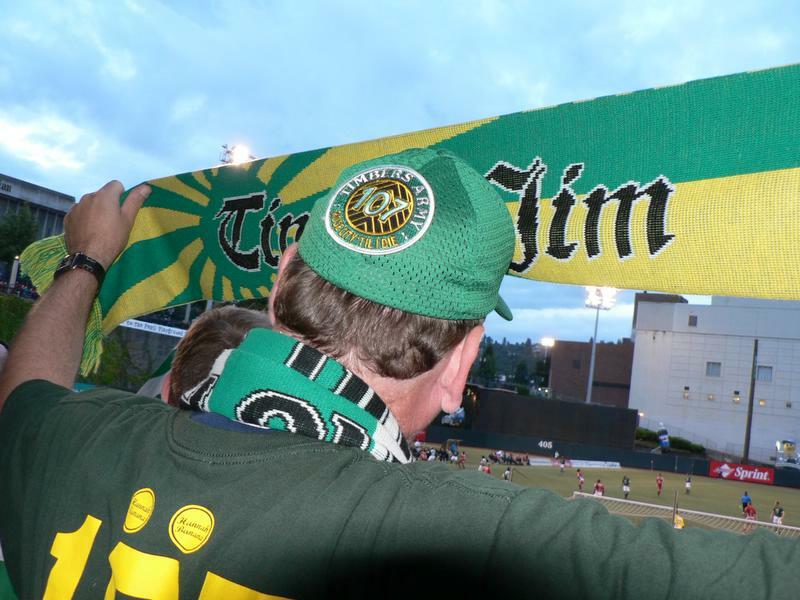 Portland Timbers were the 18th team to join Major League Soccer in the U.S but they have become one of the top teams in the nation. In 2015 they won their first MLS Cup after qualifying for the playoffs and then securing victory against Columbus Crew. Portland Timbers play their home games at Providence Park in front of a usually packed out crowd. There is always a special feeling at the games and the success just keeps on coming so if you are a fan of soccer make sure you catch a match before the season ends. The Crystal Springs Rhododendron Garden is a botanical garden in Portland that is situated along the Crystal Springs Creek. There are over 2,500 rhododendrons, azaleas and other plants in the garden and when they are in bloom they look stunning. Between the flower beds you have a mixture of paths, fountains, waterfalls and small lakes. If you wish to visit the gardens they are open between 6 a.m. and 10 p.m. each day from April until September and from 6 a.m. to 6 p.m. October till March. The Oregon Jewish Museum and Center for Holocaust Education is a great place to visit if you wish to improve your education of the events that took place during the Holocaust. It is the largest museum of its kind in the United States and a fascinating place to visit. Originally there were two separate museums before a merger took place and the two companies decided to work completely together. 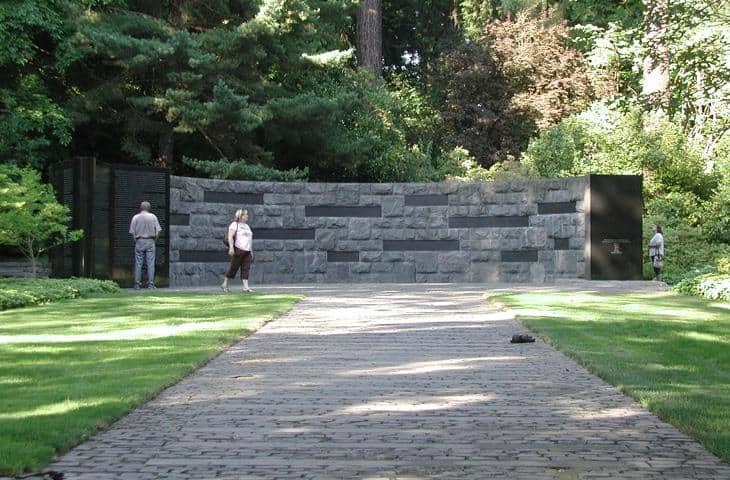 Apart from the Holocaust section you can also learn about the Jewish culture and their identity in Portland. The USS Blueback was the last non-nuclear submarine to join the United States Navy and was in active service from 1959 until 1990. Now she sits at the Oregon Museum of Science and Industry and makes a fantastic exhibit for its many visitors. You can explore what life was like on the submarine, touch a torpedo and look through a periscope. Guided tours are available of the submarine and they take place several times a day. The radio room in the submarine has also been completely restored to full working order. USS Blueback is also on the National Register of Historic Places. The Benson Hotel in downtown Portland is a 287 bedroom historic hotel that is a Portland Historic Landmark and on the U.S National Register of Historic Places. The hotel is one of the finest in the city and features a classic décor with modern amenities. There are two stunning ballrooms at the Benson Hotel which are often used for functions, weddings and public events. There is a selection of fine dining available and highly trained staff are always on hand to make sure your every need is catered for.